The last two matches in the House of Townend-sponsored Warren Triples League took place at Melton Indoor Bowls Club on Saturday evening. 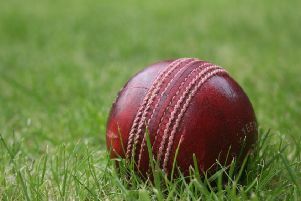 The match between Melton Bowlers and Syston started steadily with Bowlers building a nine-shot lead after as many ends. Syston pushed hard and by 15 ends had closed the gap to four shots going into the final three ends. But Bowlers picked up nine shots to Syston’s seven to hang on to the aggregate win, despite a shots deduction for being a player short on one rink. Syston had one winning rink to deny Bowlers maximum points. Barnstone gradually built a lead in their math against hosts Melton IBC, and led by seven shots with three ends remaining. They kept up the pressure to clinch the match, but Melton did draw one rink. Rink scores: Yvonne Kent, Marilyn Vye, Ron Vye beat Kate Toon, Gerald Kilbourn, Janet Evans, David Hudson 19-10; Stephen Kent, Arnold Browne beat Ken Renshaw, Colin Wilkinson, Rod Heggs 16-10; Roy Casey, David Pick, John Evans beat Bev Wright, T. Johnson, Derek Renshaw 14-13; Joan Casey, Chuck Kershaw lost to Roy Hill, Jenny Dewick, George Stone 6-19. Rink scores: P. Jacques, H. McCandless, J. McCandless lost to Sue Lemon, Bob Lemon, Clive Wright 8-18; J. Cullen, J. Parker, N. Drew beat Rita Wallbanks, Mike Lawrence, Alan Peberdy 22-9; L. Payling, A. Brailsford, K. Brailsford beat Carole Lomax, John Burdett, Malcolm Lomax 14-13; R. Spencer, A. Cullen, R. Smith beat Brian Rippin, Rita James, Chris James 21-14.